Microlearning uses rich media formats that ensure better retention of the learning. Organizations are embracing microlearning as it is cheaper to build, quicker to deploy, and can be updated fairly easily. 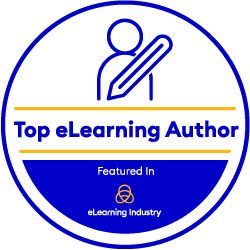 Check out EI Design’s Microlearning solutions. This Video shares 5 killer examples that showcase how to use Microlearning based training effectively. These examples feature innovative learning strategies such as videos, scenarios, white-board animation, and kinetic text. Learn more on learning strategies @ EI Design. EI Design brings in 14 years of expertise servicing customers across 16 countries catering to their varied eLearning needs. We have delivered more than 6500 hours of eLearning development content (of which over 750 hours is for mobile learning). We also have a strong expertise in localising content in 26 global languages. Please visit EI Design to know more.